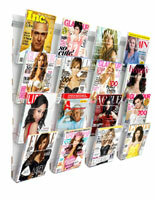 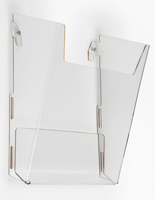 This clear acrylic 4-pocket literature rack is a mounted dispenser for commercial periodicals. 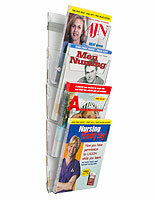 This magazine holder has four deep pockets for catalogs and pamphlets. 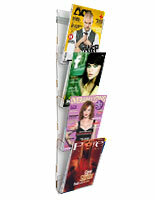 This clear acrylic 4-pocket literature rack that is brochure display can be purchased in bulk for big savings! 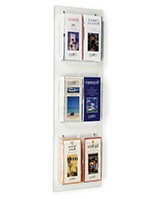 Great for real estate showrooms and more! 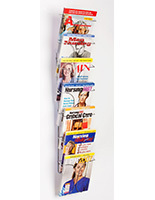 This clear acrylic 4-pocket literature rack, displays for publications, is a must-have to encourage prospective clients to read about your company! 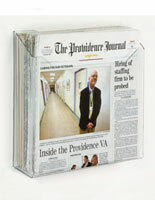 32.0" x 26.8" x 4.3"